Our uPVC French Doors are a fantastic addition to any home in Rochester, Maidstone, Sittingbourne, Chatham and Kent, opening up your property beautifully in the summer while keeping you cosy and warm in the winter time. Looking to add a continental feel to your Kent home? Alternatively, perhaps you’re looking for an innovative way to link your home and garden? Whatever the reason, our uPVC French Doors enhance any Kent home superbly. They are available in a vast variety of colours and featuring Liniar’s narrow but thermally-efficient uPVC profile for optimum security, while creating the beatiful aesthetic of slim French doors. French doors exude a beautiful charm that is commonplace on the continent and the perfect addition to any home in Rochester, Maidstone and throughout Kent. Using what is called a floating mullion, which is unique to the French door design, both doors can open fully without a central frame element. 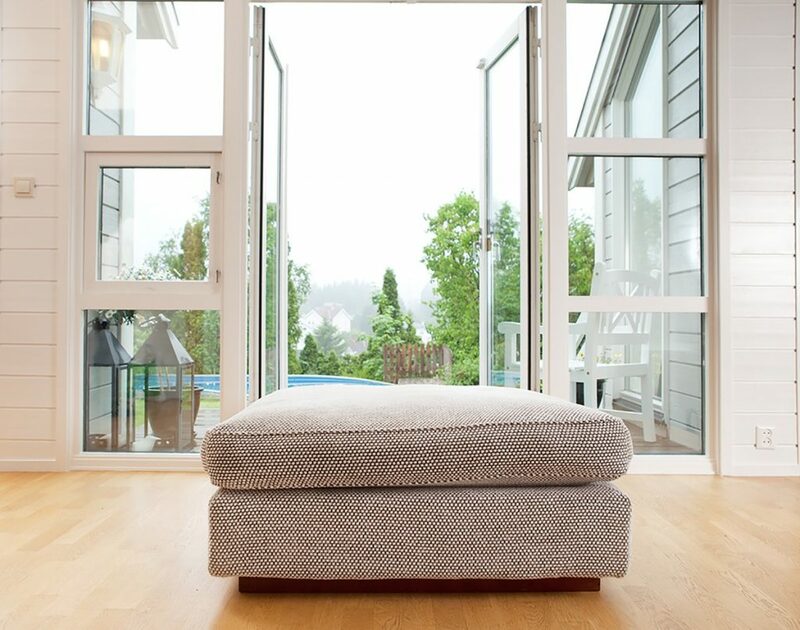 When both doors are opened your home will benefit from a large open aperture that offers unrestricted views, maximum ventilation and unobstructed access. Enjoy your garden from the comfort of your home in Kent with a seamless connection that can be enjoyed throughout the year. Choosing a uPVC French Door for your Kent home should always have security at the forefront of design specifications. Your family can never be too safe, which is why we’ve incorporated high security Shootbolts from Yale supplied as standard, to keep your Kent or Rochester home as safe as possible. Unfortunately, French Doors can often be a target for forced entry – with uPVC French Doors from First Glaze there’s no need for concern, as we use only the best locking systems available, plus we include a ten year manufacturer’s guarantee against cracking, warping or discolouration. This gives your uPVC Patio Doors incredible durable properties, resulting in the best security measures for your Kent property. Looking for beautiful uPVC French Doors that don’t cost the world? First Glaze has a fantastic range for you, all using Liniar’s thermally efficient uPVC profile that will trap warm air and keep out cold draughts. Trapping warm air in its fantastic multi-chambered design, our fantastic uPVC French Doors will keep your Kent home warmer for longer, resulting in a significant decrease in your heating bills! A beautiful addition to your Kent property, our uPVC French Doors are bound to add a significant amount to the value of your home. 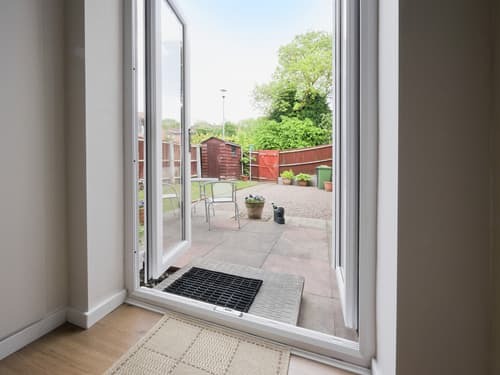 They make a fantastic future investment to your property, as potential buyers always love to see a set of stunning French Doors on a Kent or Rochester home. Here at First Glaze, we want your uPVC French Doors to seamlessly blend into the furnishings and fittings of your Kent home. For this reason, we have an extensive range of RENOLIT foils that are available in a variety of colours for complete consistency. We also offer a premium range of Italian ‘Dynamic 2D’ door hinges, available in 8 colours that provide a beautiful slim-line design to your new uPVC Patio Doors. We want your uPVC Patio Doors to be perfect, which is why we include such a range of colours and styles for you to choose from, for optimum consistency with your Kent home. No detail is too small for First Glaze. French doors are a timeless home improvement option that works brilliantly in any property. Our modern uPVC French doors entirely outclass their timber counterparts in performance, security, energy efficiency and freedom for customisation. Incorporating cutting edge technologies in thermal performance and security protection, these uPVC French doors excel in keeping your home safe, secure and comfortable throughout the year. These French doors are available in a variety of sizes, colours and opening options which will allow you to completely tailor your French doors to perfectly complement your property in Kent. It’s never been easier to get a beautiful new addition to your home. Here at First Glaze, the focus is on providing outstanding value for money for all of our customers in Rochester, Maidstone and throughout Kent. 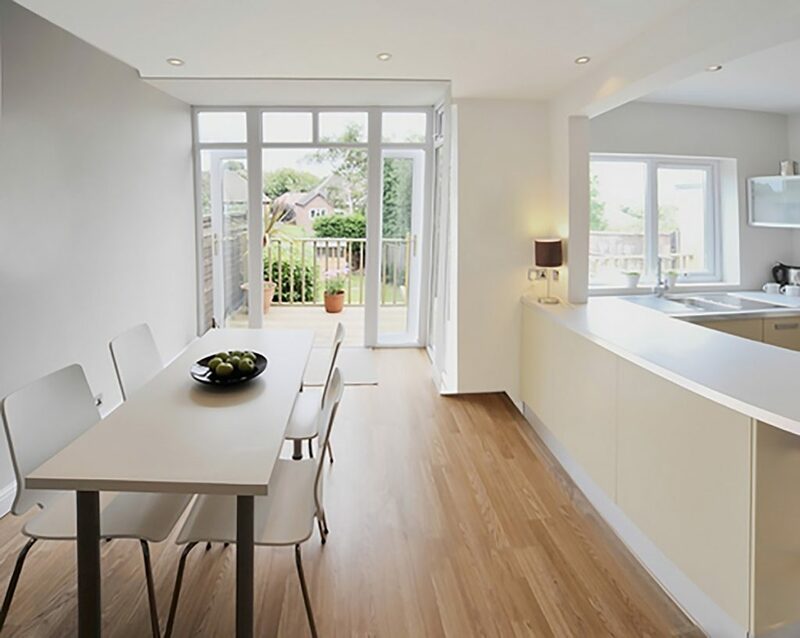 You can benefit from fantastic French door prices with our tailored quotes. 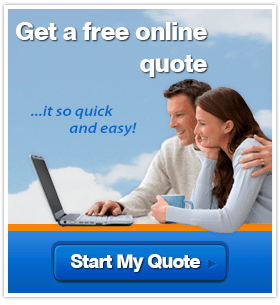 Get your no obligation quote today! Maybe you have some questions, or you’re not quite sure which style you prefer? 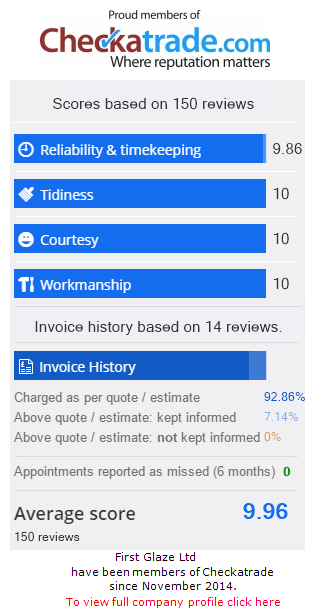 Why not give us a call on 01634 931098 or visit our contact page and send a message. You can receive expert advice and have your questions answered. Contact us for more information, or start your no obligation, instant online quote!